Happy Friday 🙂 This week I’m got into making wire rings. I made knuckle rings earlier this week and thought why not try a more normal ring. I’m actually not someone that wears rings frequently but I just like buying them or trying them on at the mall haha. So, why not make some? I started with a short piece of 20 gauge wires and formed a loop. Then formed another loop to make an infinity symbol. I kept forming loops until I had no more wires left. Once I had many loops, I stretched them out and formed loops at the ends of the wires so it won’t scratch my skin. I wrapped the wire around the eyebrow gel container to form a circular shape. Once I shaped it to fit my finger, I was done with another ring. Do you like wearing rings? I love this ring! 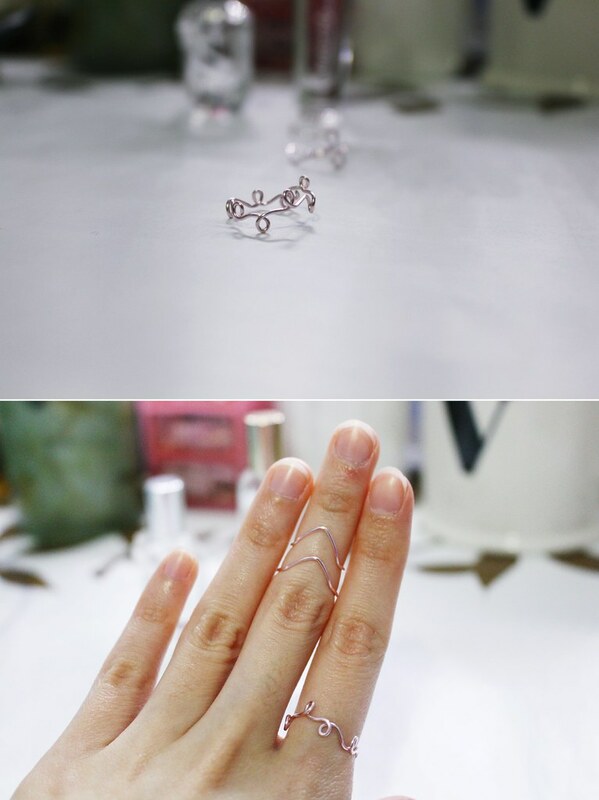 It will be pretty also as a knuckle ring … So cute! I only wear one ring usually but I’d love to have such a self-made ring, which has so much character! I don’t know if I like the knuckle ring or normal one more, both are beautiful! Thank you. You should try making some too! Wow what a great idea! I love the rings you’ve made – such a great idea for a DIY gift, especially for Christmas time! Very cute – you are very clever. This looks like such a fun DIY! I love the loops! I’ve never seen a ring like that before. How creative!